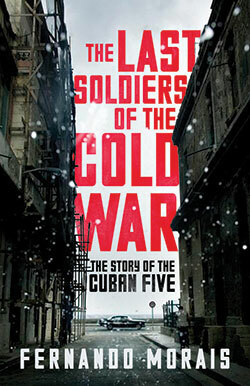 The following excerpt is from The Last Soldiers of the Cold War, by Fernando Morais, forthcoming Verso Books (on sale wherever books are sold on June 16, 2015). Roberto Fernández Retamar included Morais’s book in his “What to Read Now” recommendations for understanding contemporary Cuba. Article 3 — . . . From the date of implementation of the present law, minors below the age of twenty will become wards of the State. Article 4 — . . . Minors will remain in the care of their parents up to the age of five, from which time their physical, mental and civic education will be entrusted to the Children’s Circles Organization, which will be responsible for the guardianship of the aforementioned minors. Article 5 — . . . With a view to their cultural education and civic training, from the age of ten years onwards, any minor may be removed to a place more appropriate for the attainment of such objectives, always taking into account the best interests of the nation. Paragraph 1 — From the date of publication of this law, it is prohibited for all minors to leave the country. Paragraph 2 — Noncompliance with the precepts contained in the present law will be considered a crime against the revolution, punishable by imprisonment from two to fifteen years depending on the gravity of the offense. The man chosen by the archdiocese to carry out the plan was Bryan Walsh, a six-foot-tall, fifty-year-old Irish priest with the body of a boxer, who had lived in the United States since his youth. Arriving in Havana a few weeks after that October night, carrying in his baggage no less than 500 blank entry visas to the United States, Walsh found a society in a state of shock. The denials of the revolutionary government had done little to soothe the fears of Cuban families. In addition, parish priests all over the country, especially in the countryside where the less-educated population lived, took it upon themselves to spread the gruesome rumor that the children separated from their parents were to be removed to Moscow and transformed into canned food for consumption by the Russian population. It was not the first time that such a ghastly and implausible story had been used for political ends. The anecdote about communists eating people had been born at the end of World War II, when the fascist propaganda machine flooded Italy with leaflets affirming that Italian soldiers who surrendered to the Red Army would be killed, ground up and fed to the starving millions in Stalinist Russia. According to the American NGO Pedro Pan Group, altogether 14,048 girls and boys were smuggled out. Some would become distinguished figures in American public life, like Republican Senator Mel Martínez, Tomás Regalado, the former mayor of Miami, and the diplomats Eduardo Aguirre, nominated as ambassador to Spain by President George W. Bush, and Hugo Llorens, ambassador to Honduras in 2009 at the time of President Manuel Zelaya’s deposition. Initially put into Catholic orphanages and charitable institutions, thousands of these evacuated children would never see their fathers and mothers again. The beginning of 1962 saw the end of Operation Peter Pan, one of the most dramatic and painful episodes of the Cuban Revolution. The third wave of migration occurred at the end of 1966, after President Johnson signed into law the Cuban Adjustment Act— which was simply the legal recognition of a situation that had existed since 1959 and survived under the complacent eye of the American authorities. Without parallel in any other country, the law offered Cubans arriving in the United States, even if illegally, privileges not conceded to foreigners of any other nationality. The benefits offered by the government were a tempting invitation: political asylum and documents granting permanent residence. In other words, authorization to work and claim social security—rights that were extended to spouses and to children below the age of twenty-one. It was the opposite of the treatment dispensed to the hordes of Latin Americans who tried to enter the United States via the Mexican border. In the four years to follow, an air bridge linking the seaside resort of Varadero to Miami carried more than 270,000 Cubans. In view of the Peruvian government’s refusal to hand over the delinquents who caused the death of the soldier Pedro Ortiz Cabrera, the Cuban government reserves the right to withdraw the embassy’s protective guard. The diplomatic mission mentioned, therefore, is open to all who wish to leave the country. What seemed to be an isolated incident turned first into a commotion, then a stampede, and two days later there were 10,000 people camped out in a six-bedroom residential property. Frightened by the presence of the rabble that had taken over every inch of the house, Ambassador Edgardo de Habich abandoned the premises, taking with him his entire diplomatic staff except for his business attaché, who became responsible for the legation. Two weeks after the occupation, and with the swarm of people still inside the embassy, Peru capitulated and admitted it was unable to receive 10,000 people at a moment’s notice. Three years after these declarations, however, the domestic scene in the United States had changed a lot. The conservative American majority had fumed at Carter’s treaties with the Panamanian president Omar Torrijos, pledging to hand over control of the Panama Canal in 2000. Public opinion also considered Carter to have been soft on the USSR for ignoring the 1979 invasion of Afghanistan by Soviet troops. But what would put an end to his popularity happened on the night of April 25, 1980, when the White House–approved Operation Eagle Claw ended in catastrophe. Aboard eight helicopters and six Hercules C-130 planes, ninety men from a USAF antiterrorist commando took off from the Kingdom of Bahrain and from the aircraft carrier Nimitz, anchored in the Indian Ocean. The operation’s objective was to set free fifty-two Americans taken hostage six months earlier by a group of young Iranians who had occupied the United States embassy in Tehran. Thrown off course by sandstorms in the Dasht-e Kavir desert, already in Iranian territory but still 500 kilometers from the capital, the mission was aborted when one of the helicopters crashed into a transport aircraft. Eight American soldiers died, and the hostages remained in the hands of the Iranians. The crestfallen survivors of Operation Eagle Claw returned to Washington nineteen days after the Peruvian embassy in Havana had been taken. In the face of the timidity shown by the international community—Peru agreed to receive only 1,000 of the 10,000 people who had taken refuge in the embassy, Canada 600 and Costa Rica 300—the American president, who would run for reelection in October of that year, thought that here was an opportunity to recover his popularity. Contrary to the moderate diplomacy he had adopted in relation to Cuba since he came into the White House, Carter called a press conference and announced a bombshell. With the new name of “Open Hearts and Open Arms,” the old Adjustment Act was resurrected: all Cubans who managed to reach the United States would receive political asylum, permanent resident status, permission to work and to register with social security, and the rest. Editorial note: First published in English by Verso 2015. Translation © 2015 by Robert Ballantyne with Alex Olegnowicz. First published as Os últimos soldados da guerra fria, © 2011 by Companhia das Letras. 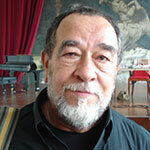 Fernando Morais is one of Brazil’s most important contemporary writers and journalists. He has received the Esso Award three times and the April Award for journalism on four occasions. Morais’s works have sold more than two million copies in more than nineteen countries. 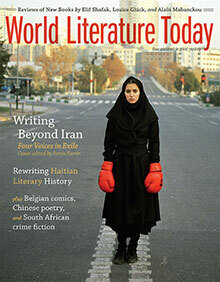 Featuring four writers from the Iranian diaspora and a survey of post-apartheid South African crime fiction.